OUR VERY 1ST MONTHLY SHOOT 2010. IT WILL BE HELD ON 31ST JULY 2010 AT 6PM. 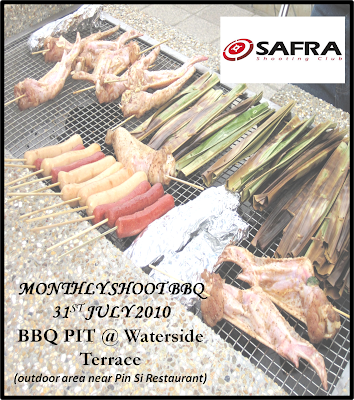 THE BBQ PIT IS LOCATED AT THE WATERSIDE TERRACE @ SAFRA YISHUN COUNTRY CLUB.